CVS Diesel have an experienced team of diesel engine installation technicians, having been involved with the installation of industrial & marine diesel engines for a diverse range of applications for over 40 years. 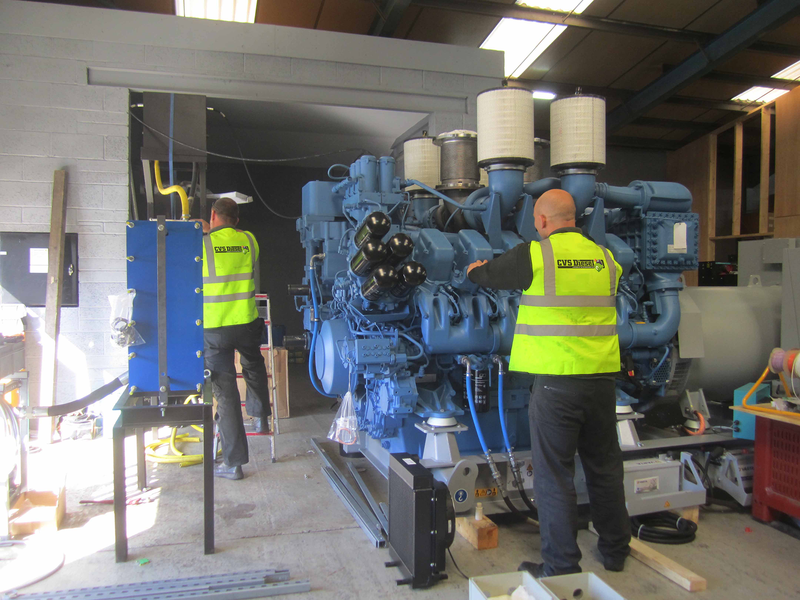 Our process of industrial & marine diesel engine installations involve working closely with customers for the assessment and optimisation of a number of critical systems to ensure the best result is achieved for their application. We’ll assess the current setup and the required end result and we’ll advise on the most suitable range of diesel engine options from our network of premium manufacturers. We will guide you through each option available providing the pros and cons of each solution. And finally between us, once all relevant information has been gathered and digested, we will recommend the most appropriate solution before providing confirmation of cost and a suitable time for our team to undertake the engine installation. Once the installation has been carried out you can be assured of many years of use from your equipment and we guarantee and fully support all our installations. Following installation we offer a variety of cost effective service packages, which can include the option of a FREE extended warranty or the first routine service at a reduced rate. For pricing information and technical assistance on our marine and industrial diesel engine installation service please contact us directly on 01604 590977, sales@cvsdiesel.com or click here to complete our enquiry form.